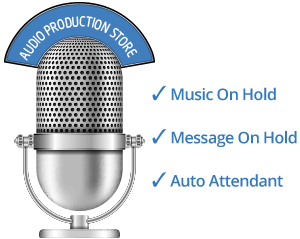 IDC Hosted Cloud Contact Center Vendor Report | 8x8, Inc. When you are making critical decisions for your company, information is your most valued tool. 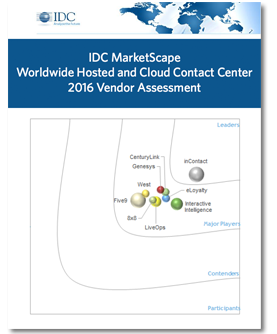 See why 8x8 was named a Major Player in this complimentary 2016 research excerpt: IDC MarketScape: Worldwide Hosted and Cloud Contact Center 2016 Vendor Assessment. IDC selected only 9 leading vendors worldwide for this report. 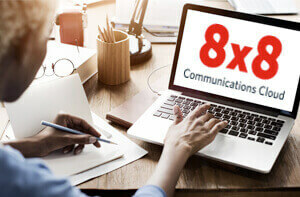 Learn what advice IDC has to offer in evaluating contact center providers and see how 8x8 stacked up in key areas such as innovation, functionality, scalability, cost competitiveness and customer service. 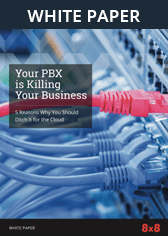 Don’t make key decisions about which cloud contact center provider to consider without knowing what this critical industry report has to say. Fill out the form above and download your free report.